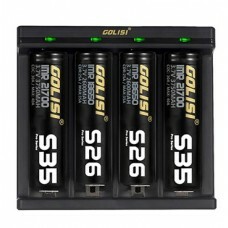 The Golisi Needle 6 is a great smart charger with compact and portable palm size and six battery slots. 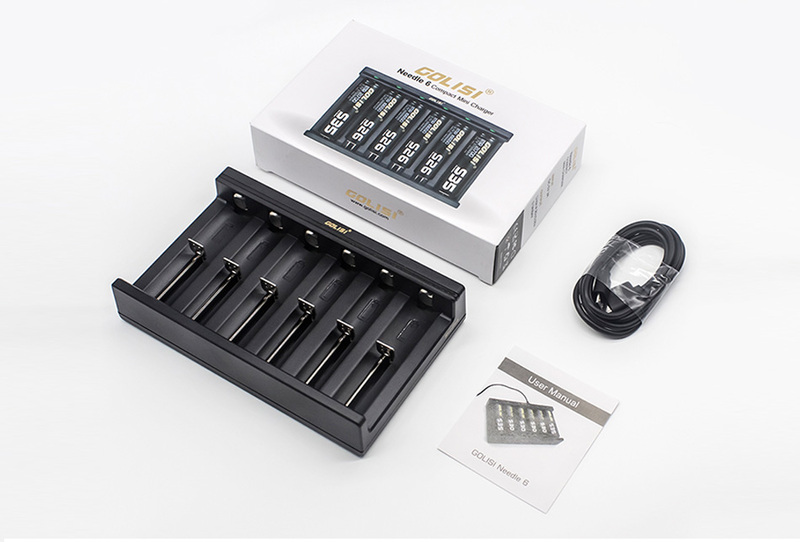 Made of high-quality fire proof resistance materials, the Golisi Needle 6 is very safe to use. And it also has military-grade quality loading spring and contact plates, which lessen interaction resistance and increase smoother sliding action when inserting and removing batteries. 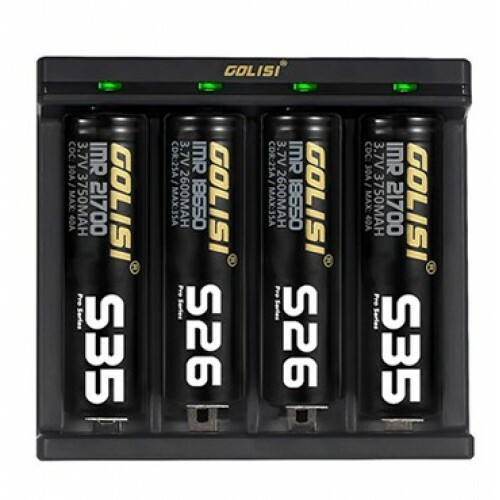 The Needle 6 is also highly compactible with most cylindrical rechargeable batteries of length ranging from 32-70mm, up to 32mm in diameter. One more feature of the Golisi Needle 6 is that it detects and regulates its internal temperature in real time. Thus preventing possibility of overheating and over charging. And when Needle 6 detect the batteries are fully charged, it will stop working.